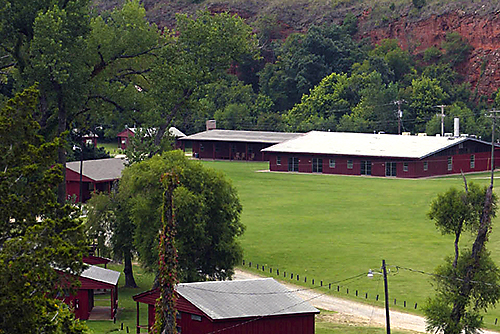 No passport is required to enjoy a weekend hearing and speaking the Spanish language from April 20 through 22 at the Canyon Camp and Retreat Center in exotic Hinton, Oklahoma. OCCC’s Spanish Immersion Weekend is a one-credit-hour class that provides a unique opportunity for students with some Spanish experience to develop their listening and speaking skills, said Ginnett Rollins, one of the Spanish professors planning the event. “The weekend was created as a means for students to overcome psychological and emotional barriers that sometimes hinder a student’s progress in using the Spanish language in real-life, authentic conversational situations,” Rollins said. Ever since two professors, Patricia Brooks Jiménez and Dianne Broyles, created the program in 1994, OCCC has been offering this one-credit-hour weekend class every spring semester. During the weekend, students get the opportunity to engage in activities including games, singing, drama, dancing, nature walks, and other activities with their instructors or native-speaker volunteers. The native-speakers hail from a number of Hispanic cultures. “Volunteers from Honduras, Venezuela, Uruguay, Mexico and Peru will participate in the Spanish Immersion Weekend this year,” Rollins said. These activities are opportunities to facilitate a learning environment for students wanting to excel in the Spanish language, and the best part is that the students do not have to leave the country.